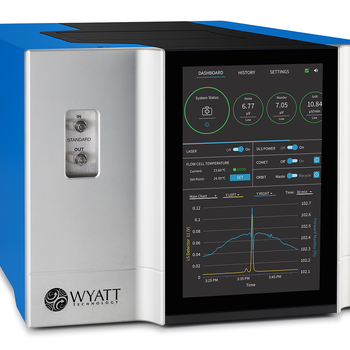 The DAWN® is the premier Multi-Angle static Light Scattering (MALS) detector for absolute characterization of the molar mass and size of macromolecules and nanoparticles in solution. The DAWN offers the highest sensitivity, the widest range of molecular weight, size and concentration, and the largest selection of configurations and optional modules for enhanced capabilities. The DAWN is a accompanied by ASTRA, the most versatile software package available for analysis of online multi-angle and dynamic light scattering. 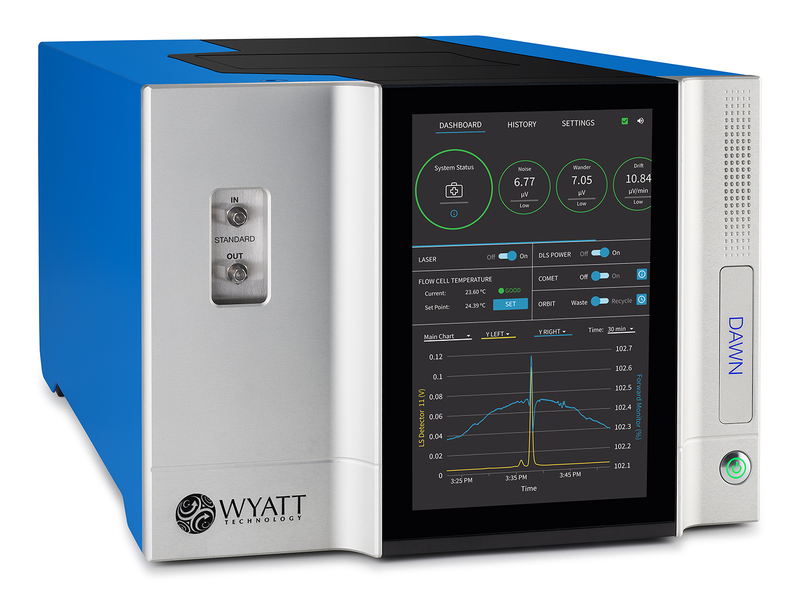 The DAWN and its companion Optilab dRI detector are the established benchmarks for MALS analysis, cited in thousands of peer-reviewed publications. Multi-angle light scattering detection is indispensable for use with GPC and HPLC-SEC in order to obtain reliable molecular mass distributions and information on molecular conformation, branching ratio, fragments and aggregates. SEC-MALS with a DAWN and Optilab characterizes conformation and branching of synthetic and natural polymers larger than 10 nm in rms radius Rg. 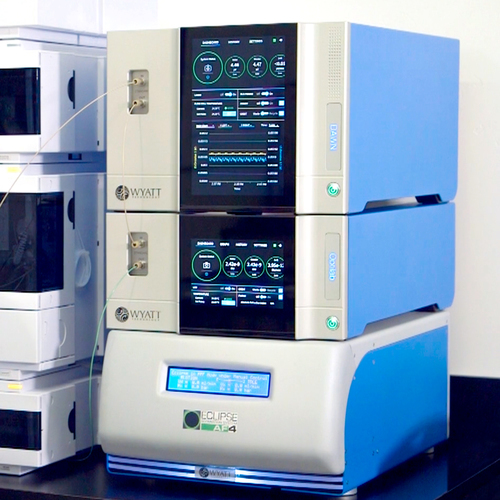 The addition of a ViscoStar differential viscometer creates a GPC triple-detection system can analyze molecular conformation and size below the rg limit of 10 nm and determine Mark-Houwink Sakurada coefficients. The combination of a UV/Vis absorbance detector with a DAWN and Optilab refractive index detector creates a UV-MALS-RI triple-detection system, for analysis of copolymers and protein conjugates (glycoproteins, PEGylated proteins, surfactant-bound membrane proteins, etc.). 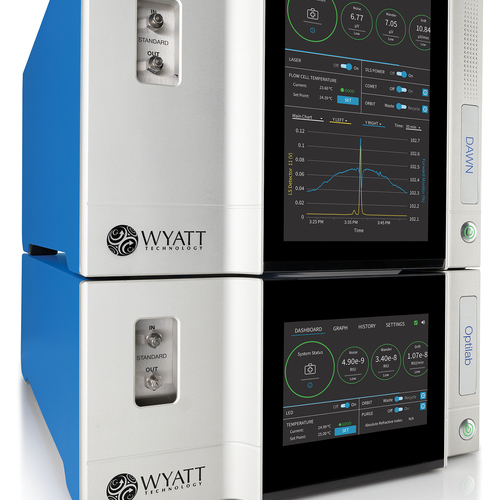 With the addition of a WyattQELS DLS module for size determination, protein conformation may be analyzed. 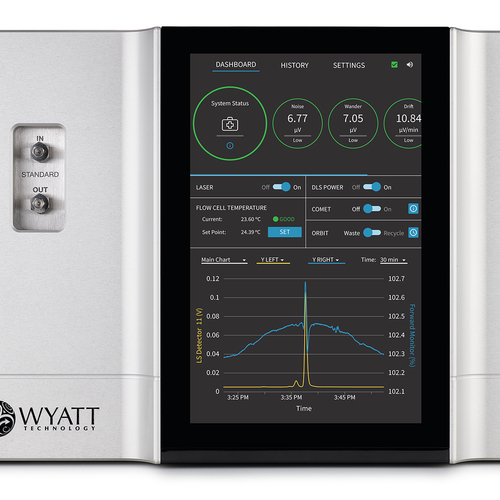 The DAWN may also be used in batch (off-line) mode to characterize the weight-average molar mass, z-average size and second virial coefficient of unfractionated samples. 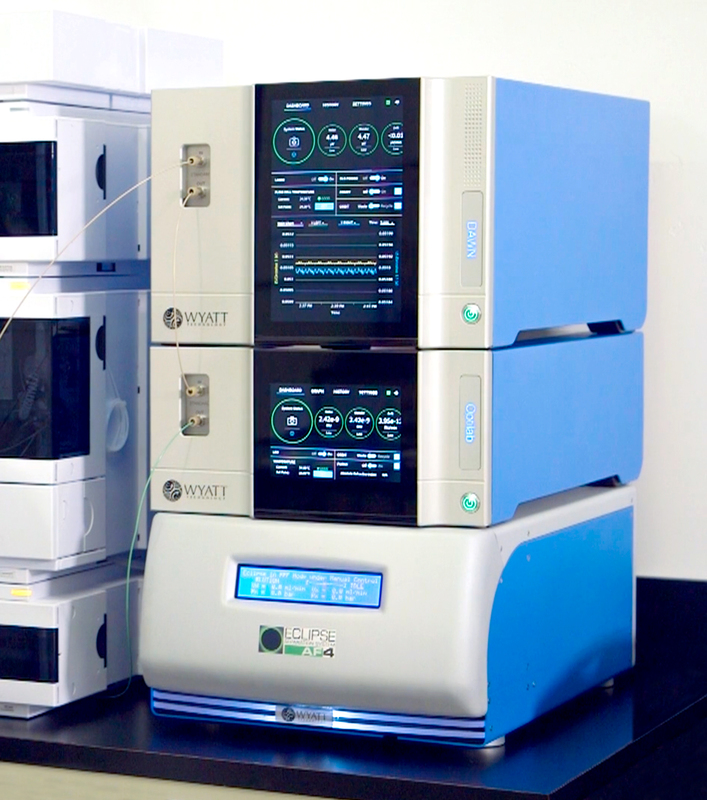 In conjunction with a Calypso CG-MALS system, the DAWN characterizes macromolecular interactions, label-free and immobilization-free: affinity and absolute stoichiometry of self- and hetero-association of simple or complex molecular systems. The Calypso system also automates the determination of second virial coefficients, cross virial coefficients, average molar masses and sizes. Each DAWN includes an embedded COMET ultrasonic transducer that cleans the flow cell automatically by agitating the fluid and loosening particles from the glass surfaces.